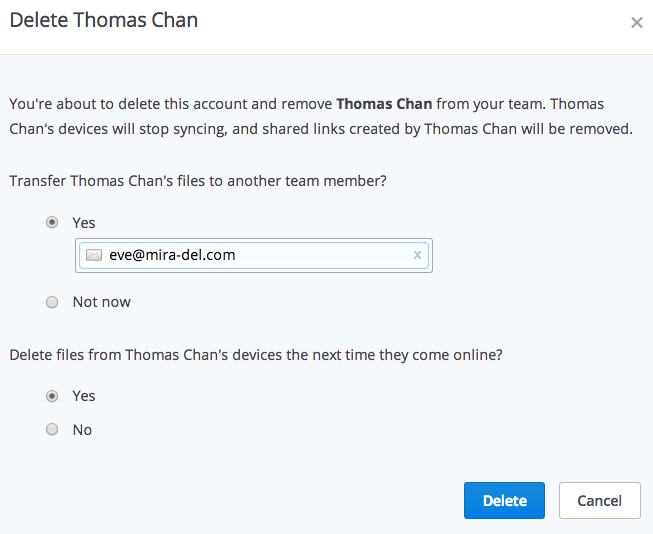 Minimize interruptions to your team's workflow by transferring a deleted user's work Dropbox folder to another team member. 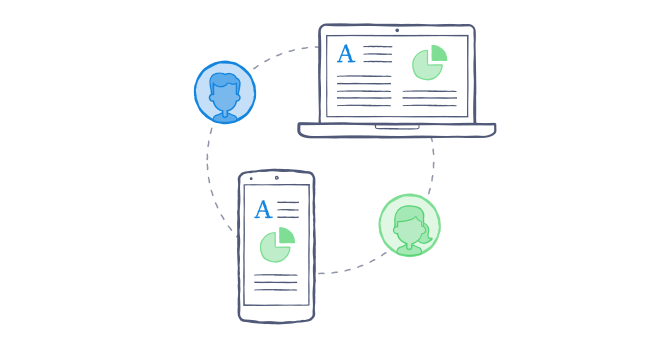 When someone leaves your Dropbox Business team, team admins and user management admins can immediately transfer their account to another team member, or wait and transfer the data later on. All the folders and files in the deleted member's work Dropbox will go to the recipient of your choice. Dropbox will try to preserve sharing relationships, so if the member owned a shared folder, Dropbox will transfer ownership of the folder to the recipient. 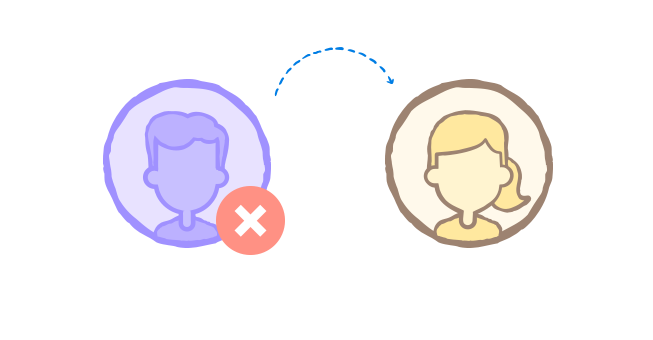 When removing a member from the team, you can transfer their data to someone else so no important work gets lost in the shuffle. Sign in to Dropbox with your admin account. Click on the Admin Console in the left sidebar. On the Deleted members tab, click the gear icon for the person you want to delete and select Delete user from the menu. In the pop-up window, leave the selection at Yes to immediately transfer the deleted user's Dropbox files to another team member. Enter the recipient's name or email address. The recipient must be a member of your Business team. Choose whether or not to use the remote wipe option, then click Delete. We store members' Dropbox files even after they've been removed from the team. You can transfer a deleted member's files to another team member any time. On the Deleted members tab, find the former member whose files you want to transfer. Click the gear icon to the right of the member's name, and select Manage files from the menu. Select the option to Transfer to another team member. Enter the recipient's name or email address and click Submit. The recipient must be a member of your Dropbox Business team.